The long awaited Duane Reade planned for retail space in the Grove Pointe apartment tower may soon be opening its doors. 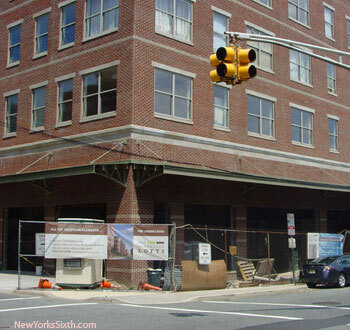 The retail space along Newark Avenue, just west of the condominium entrance, is now donning the tell tale “Duane Reade Red” trim on interior walls and columns. 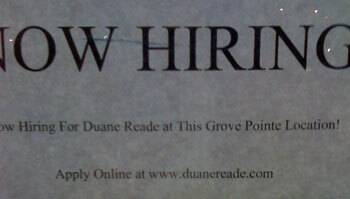 And of course, there is this posted sign declaring the new location is seeking new hires. Local vintage store Another Man’s Treasure is set to move in April from its current Brunswick Street location to 353 Grove Street. Janam Tea House, the former tenant of the Grove Street location, packed up and moved to the Pacific Northwest in February. A new restaurant and bar opened over the weekend in the corner retail space of the Schroeder Lofts. The Embankment is from the same folks who run The Merchant, a Grove Street establishment. 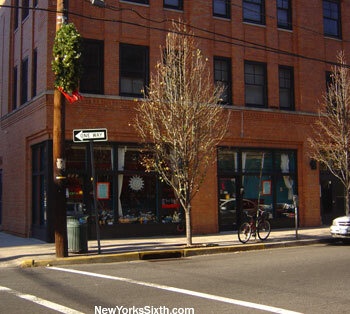 Menus are online; the restaurant is located at Erie and 10th.